Come join Philadelphia area Polonia to celebrate our Annual Christmas Dinner Gala at the beautiful Whitemarsh Valley Country Club in Lafayette Hill, PA. Enjoy delicious hors d'oeuvres & cash bar, a sit down dinner, sharing oplatek, carolling and dancing to the music of Krystof Medyna. 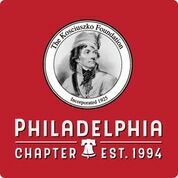 There will be a silent auction to benefit the KF Philadelphia Scholarship Fund, which supports deserving students to attend the Jagiellonian University Summer program. Start your holidays off with this festive event!